Illinois hockey was ready to claim its first signature victory of the season Friday night over Lindenwood University when it led 2-1 in the third period. 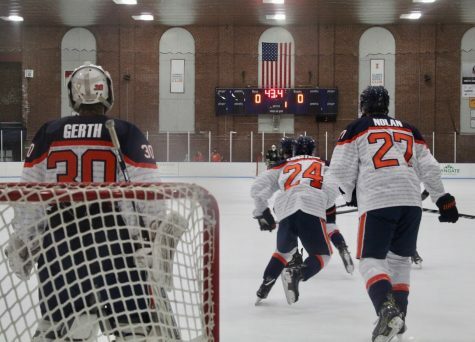 The upset was shattered when a pair of unlucky bounces ended up in the Illinois net for the 3-2 Lions victory. Lindenwood senior defenseman Brandon Rumble was credited with the game-winning goal in overtime. Rumble took a one-timer from the point, and his shot hit off Illinois goalie Joe Olen before sliding slowly into the net. 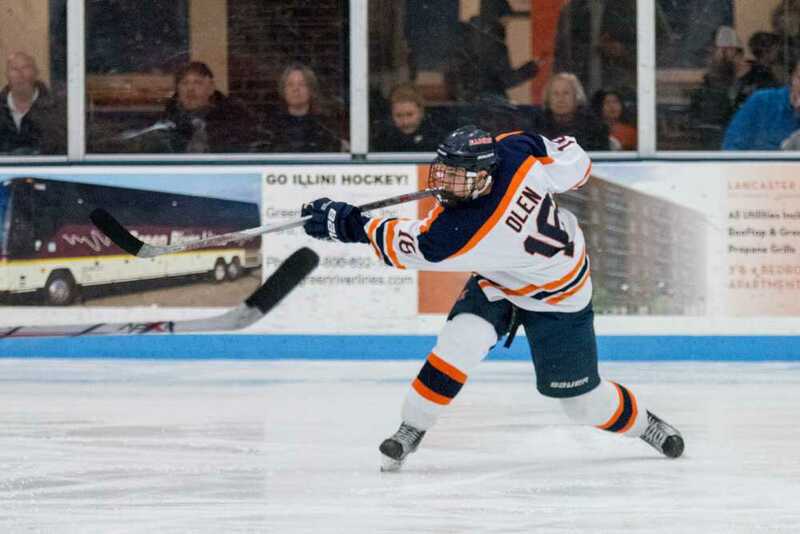 The Illini were down 1-0 after two periods, but junior forward Eric Cruickshank broke through with his 15th goal of the season early in the third period. Senior forward Eric Saulters gave Illinois its first lead of the evening with 11 minutes remaining in the final frame. 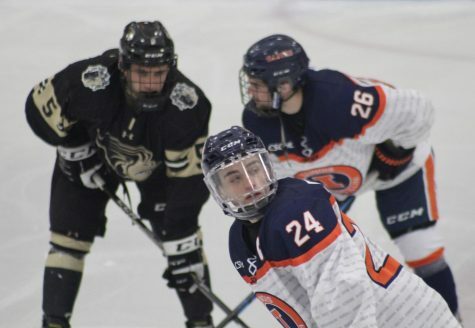 Olen stopped 46-49 shots on Friday, while Lindenwood senior goalie Cody Karpinski surrendered only two goals on 31 total shots. 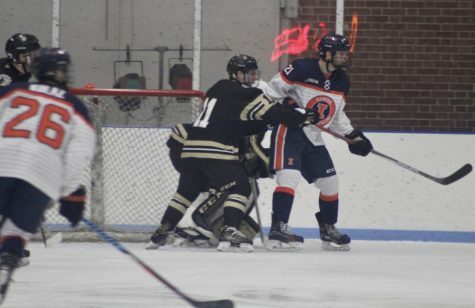 Lindenwood (9-8-1) finished the road sweep Saturday afternoon with a dominant 7-4 win. 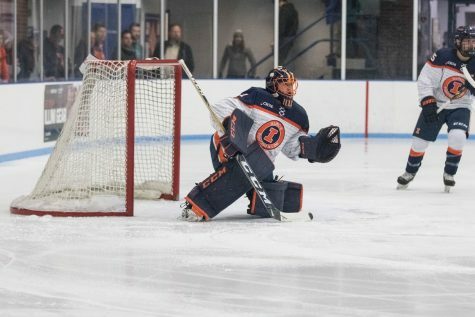 Senior goalie Zev Grumet-Morris got the start for the Illini but was pulled midway through the second period for junior David Heflin. 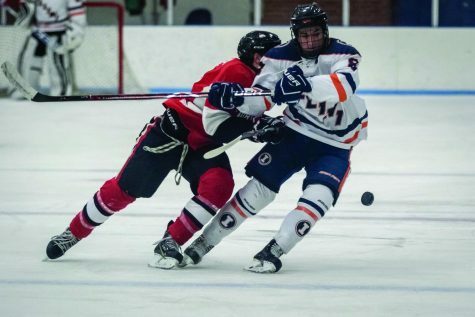 Grumet-Morris struggled mightily, allowing six goals on 29 shots. The Lions scored multiple goals within two minutes twice in the loss. 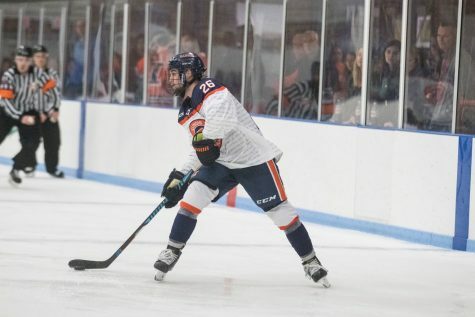 Illinois recorded 28 penalty minutes, and Cruickshank was charged with 20 of them after an abuse of officials misconduct and an unsportsmanlike conduct midway through the second period. The pair of losses for the Illini (9-4-3) comes after last weekend’s sweep of Illinois State, which included an 11-0 win on Nov. 5. 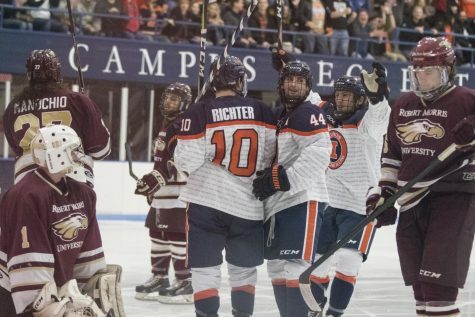 Illinois remains winless in CSCHL conference play after being swept in a weekend series against Iowa State two weeks ago. 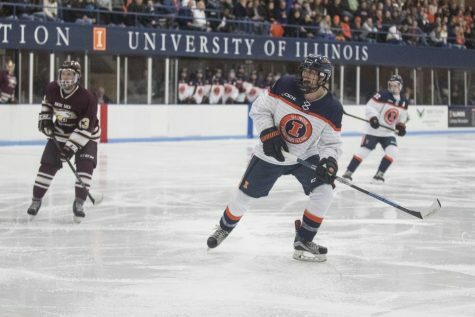 Illinois continues its four-game road trip with a matchup next weekend against CSCHL-rival, No. 1 ranked Ohio University (12-2-1).